GLL, the UK’s largest leisure charitable social enterprise, has been awarded a new leisure management contract with Manchester City Council to operate its world-class National and Regional Sports Centres of Excellence and community leisure facilities for the next 9.4 years. Following a successful competitive tender process, GLL will work in partnership with Manchester City Council to manage the facilities until 2028. GLL has managed the community facilities in Manchester since 2014. As part of its social enterprise ethos, GLL reinvests financial surpluses back into the communities it serves, through grassroots sports development and improving access to activities to improve the lives of local people, generating social value of £400m per year nationally. Councilor Luthfur Rahman, Executive Member for Schools, Culture and Leisure at Manchester City Council said: “Our mission in Manchester is to provide sport and physical activity opportunities for all, from our residents young and old who are meeting their well-being goals, right through to elite performers who test themselves at Olympic and Paralympic level. 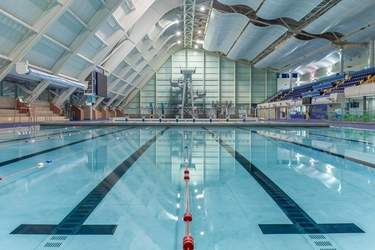 “The Manchester sport and leisure offer is not only the largest in the UK but also one of the best used; one in seven (14%) of the city’s population are currently MCRactive members (76,174 people). An increasing number of Manchester customers (6,400) are choosing lessons and courses as a way of keeping them motivated and enjoying their leisure activities – up 22% over two years. As a social enterprise, GLL prioritises raising social value in the partnerships where it operates and measures this in terms of improvements to health and wellbeing, education, opportunity and reduction in crime. £20.1M of social value has been generated in Manchester in the last 12 months – putting it in the top quartile for the UK.